The Bagwell Marketing staff has been providing solutions to marketing problems for businesses of all sizes throughout the United States and in Puerto Rico for over thirty years. When we talk about our role as “your marketing partner®,” we mean that you have a one stop resource for virtually everything that relates to advertising, public relations and marketing. Rent-to-own stores, pawn shops, check cashing stores, prepaid telephone companies and other businesses that market to the “self-banked” consumer. We also have an extensive background in direct response marketing. Our television, radio and direct mail programs “make the phone ring” for our clients. Our roots are in the advertising agency business. However, years ago, we discovered that often the best solution to a client’s needs sometimes involved more than advertising. That’s when we started looking at advertising as only a portion of a business solution. — Or Just The Projects That You Can’t — Or Don’t Want To Handle. Marketing involves many things. The textbook definition includes the 4 P’s – Product, Price, Promotion and Placement (or Distribution). Basically, we look at marketing as everything from the initial idea for the product or service to getting it into the hands of the consumer or the business application. The final part of the marketing channel is a “transfer of ownership” — receiving a fair price for the product or service. Let’s face it, people can love your product, they can think you have the greatest, funniest commercials in the world, you can receive pages of coverage in the press — but if nobody actually pays you enough money to make a profit at the end of the day, you have not successfully marketed your product or service. When we talk about our role as “your marketing partner®,” we mean to say that our company can be your one stop resource for virtually everything that relates to marketing, advertising and public relations. Find out more about our advertising services here. Find out more about our public relations services here. For more information call 1-866-281-8830 or contact Bagwell Marketing. Find frequently purchased promotional items, by category. 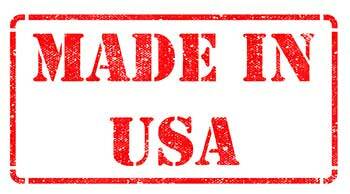 We offer a large selection of promotional products that are 100% manufactured in the USA. 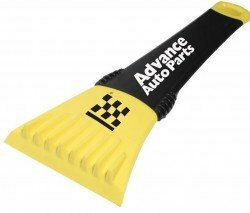 Ice Scrapers are a great winter give away for just about any business. Put your name, logo or message on these, and you have gift your customers and prospects will use and keep. More Winter Promoti0ns. 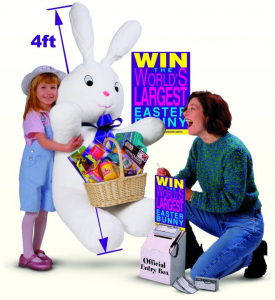 Two of our most popular Easter traffic builders are The Giant Easter Bunny or the World's Biggest Easter Basket. These Easter advertising promotions are perfect retail traffic builders for banks or other financial institutions, restaurants, grocery stores, automobile dealerships, rent-to-own stores, radio stations and newspapers, and any family-friendly businesses. Our Easter promotions come with everything needed to have a successful in-store promotion, including entry blanks, an entry box, a colorful poster, and a press release package.